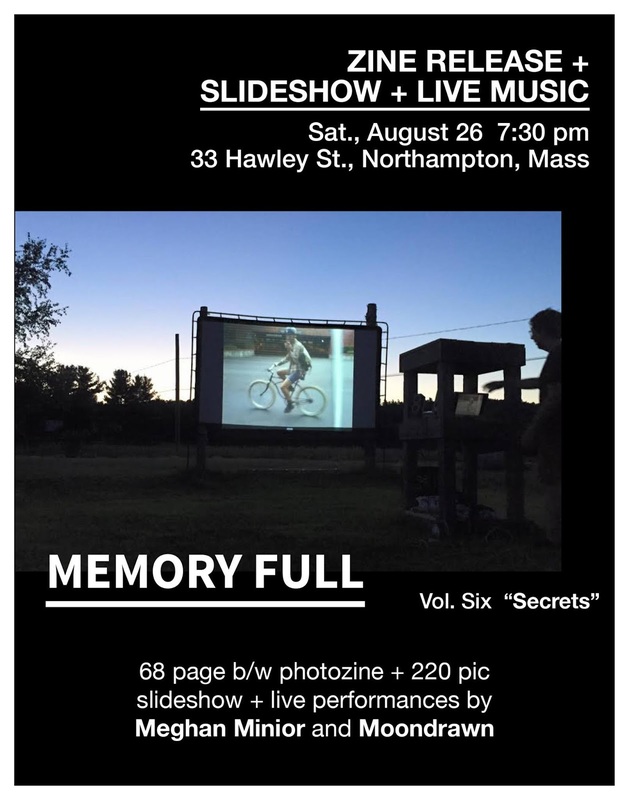 WHAT: Zine Release + Slideshow + Live Music + Poetry Reading, OUTSIDE! FREE! FUN! 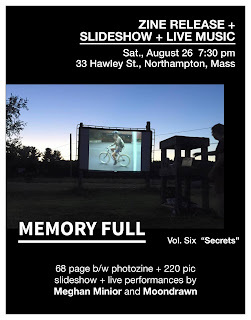 MEMORY FULL is a group publication created in 2011 as a way to show and share cell phone pictures away from a screen and in the real world. It is published on a very irregular basis, with each volume possibly being the last. This year's theme is: SECRETS. The slideshow will include every single image submitted (over 200! ), and the zine (68 pages!) will have an edited down selection of images.